W.L.Laslett & Sons was formed when brothers Richard and William Laslett decided to separate their farming business back in 1984. William, his wife Lynda and eldest son Gary farmed at Little Weddington Farm, Ash. They were soon joined in the business by second son Steve in 1986 and third son Vern in 1991. Any new trade is most welcome! We currently have customers from wholesalers, local restaurants, independent greengrocers and other farm shops. The business continued to grow mainly veg and potatoes supplying local wholesalers, independent shops and stalls in Spitalfields Market, London. These outlets soon dwindled as supermarkets began to take even more of the market share. It became obvious that a change of direction was needed and after much deliberation it was decided to take on the White Mill Farm Shop on the Ash Rd, Sandwich. This was in January 1997. The farm continued to grow its veg and potatoes but more land was put over to winter and spring sown cereals. The aim was to grow and sell direct to the public without having to withstand the fluctuating prices on the London Markets. After a slow start the White Mill Farm Shop began to get a good reputation, somewhere you could go and buy the best quality produce at very reasonable prices. The shop went from strength to strength and enabled the family to invest back into the farming business. The first major investment being the building of a 3 million gallon reservoir to irrigate all the crops. This was completed in 2005. In January 2006 the Mansfield Farm Shop in Sturry came up for rent and it was decided to expand the retail arm of the business. The premises was spruced up and renamed The Broad Oak Farm Shop. Again the aim was to provide quality at affordable prices - something that is true to this day ! Investment was again at the forefront of the family's thinking. In 2010 a grain store was erected on site enabling all grain to be stored on the farm and marketed as and when desired. In 2012 the first of the strawberry tunnels were erected with more being added in 2015. 2015 also saw the building of a 900 ton controlled temperature potato store. 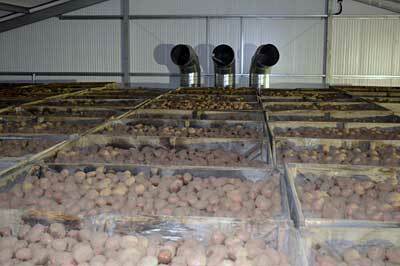 This enables storage of potatoes up to 8 months of the year so our customers never go short! Today the farm runs to 300 acres of owned and rented land. 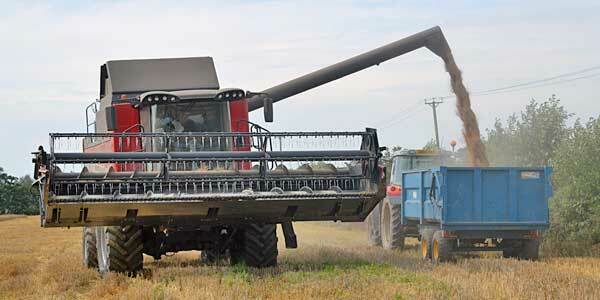 Cropping is 150 acres of cereals, 90 acres of veg and 60 acres of potatoes. 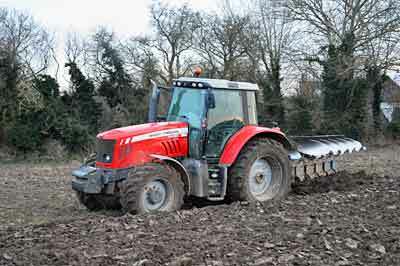 Potatoes - are harvested from the end of May onwards with the last maincrop varieties dug in October/November. Varieties grown are Riviera, Accord ,Marfona, Picasso ,Maris Piper, Mozart and Desiree.